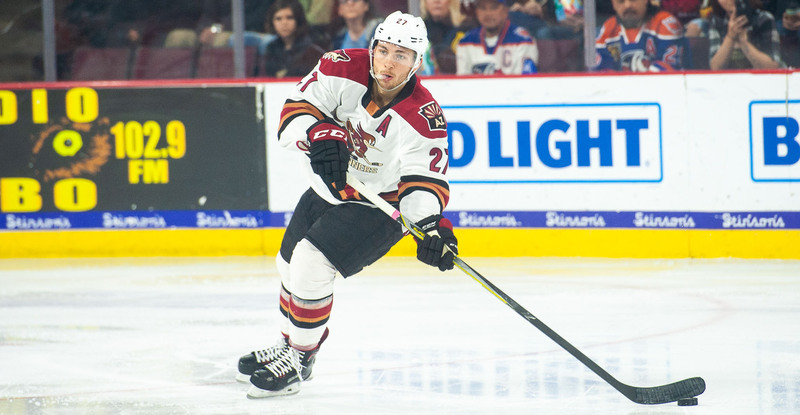 TUCSON, AZ – The American Hockey League announced changes to the 2019 Lexus AHL All-Star Classic presented by MGM Springfield rosters today, adding Tucson forward Michael Bunting. The 23-year-old has registered 11 goals and 15 assists for a total of 26 points in 27 games with Tucson this season. Tucson’s #27 is currently riding a five-game point streak, including goals in four straight games for the Roadrunners. The fourth round selection (#117 overall) of the Arizona Coyotes in 2014 also made his NHL debut on December 11, 2018 against the Boston Bruins, recording his first NHL goal in the game as well. Bunting joins defenseman Roadrunners defenseman Kyle Capobianco at the event, whom was named to the initial roster earlier this month. Wednesday it was announced that Tucson forward Conor Garland would be unable to participate in the event. Garland has been a member of the Coyotes roster since December 3, tallying nine goals in 23 games with the parent club. Tickets for all 16 remaining Roadrunners home games at Tucson Arena, including tomorrow’s Wrestling Night featuring a special guest appearance by “The Nasty Boys” are on sale now and can be purchased by clicking HERE or visiting the Tucson Convention Center box office. For more information on the club, call 866-774-6253. Riding a three-game win streak entering a weekend series against the Bakersfield Condors, the Roadrunners have received back-to-back shutout efforts from goaltender Adin Hill in his two starts since returning from the NHL’s Arizona Coyotes. Now tied with first place San Jose at 23 wins, the Tucson Roadrunners have a record of 13-5 at Tucson Arena this season.